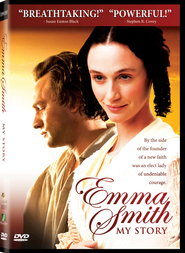 Errand of Angels from Deseret Book on Vimeo. 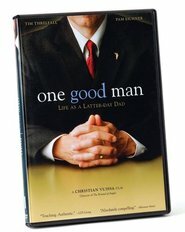 This is simply one of the greats in LDS Cinema. Along with "One Good Man," "Brigham City," "Charly," and "Uintah United," this movie so deserves a 1080p Blu-ray release. Inspiring, I loved it. Not quite «The best two years» but very spiritual, funny at times and just plain lovely. Sorry...thought this movie was rediculous. This movie is probably one of the best LDS movies ever made. It has you laughing, crying and sometimes both at the same time. It has such an incredible story to tell and it makes you stop and think about how you are too quick to judge others on what you think they should be. I would like to personally thank all those that were involved in making this movie. It definitely is one that I never get tired of watching! I completely enjoyed this movie. I often recommend this movie to friends and have given it as a gift as well. I felt like it really captured what life is like as a young female missionary; and how it is to live in a foreign country with people you don't always understand. This is a drama about real people, with real feelings; no crazy unbelievable things or characters. I really liked it but when it ended... I felt cheated out of the story and my time. "what? that's it? was my and my husbands reaction. They opened up stories that they didn't bring a closure to. I thought that this was the best movies that I had seen.It shows the real lives of the all the Missionaries. Had viewed it several times and each time it brings my spirits up. My favorite movie in this day and time!!! This movie is so well done. The story, the music, the acting is all just outstanding! I loved the story line. Good selection of actors. I purchased the DVD so I can watch it again! Loved the movie!! The story is very fun, the music is beautiful, the setting is gorgeous and LOVED the outfits!! Having been a sister missionary, i can totally relate! :) Thanks for a great movie! The Errand of Angels is one of the best mission stories ever told. Even though I served in a completely different mission, I could relate to a lot of trials that were spiritual. The movie is up-lifting and moving. It is a must see movie. I really loved this movie, I didn't cry or get blown away but it just rang so true to the many ordinary everyday things that happen on a mission. From the great companions, to the difficult ones, to making best friends, to brilliant investigators and baptisms to challenging investigators, quirky ones and then the heartbreakers. As always Christian Vuissa has done a brilliant job. It's a keeper! I really, really enjoyed this movie. I loved the fact that it was true to life and told a wonderful story with out the who-har and slapstick of other 'LDS' movies. I will definitely be watching this again. The 13th article of faith comes to mind in seeking out those things which are praise worthy and of good report. For me this film falls into that category. Brilliant job peoples!!! True to the mission experience & a great movie as well. As a returned missionary I could relate to everything that happened in this movie. It brought back a flood of memories from my "Best Two Years". The movie was very well done. The acting and cinematography are excellent and the score by Rob Elliot is INCREDIBLE. This is a must see movie that can be watched over and over again. bright tights? Sister missionaries don't dress that way. A wonderful movie with stirring music! Worth the time and money. The music will keep you humming all day long. My wife and I saw this movie when it was at the theater and really enjoyed it. I was amazed to read that it was made in such a short period of time with such a small budget. Kudos to the cast and crew for doing so much with so little. Out of all the recent movies about missionaries, this movie resonated the most with our own mission experiences. We liked that the drama didn't come from a missionary struggling with his own testimony or lack of commitment. It came from a missionary wanting to be the best missionary she could be and discovering what that actually meant. As far as I'm concerned, LDS cinema is alive and well as long as smart, wonderful stories like this are told.